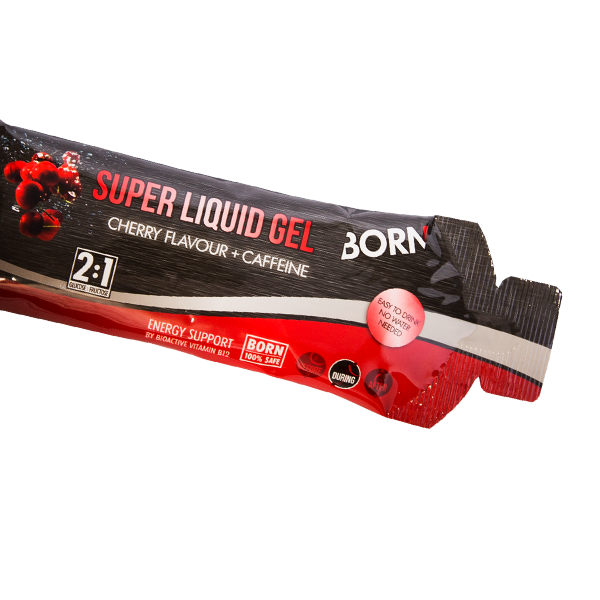 BORN ENERGY SUPER GEL is a concentrated source of fast carbohydrates and provides extra energy. Sometimes the intake of isotonic drink is not enough. 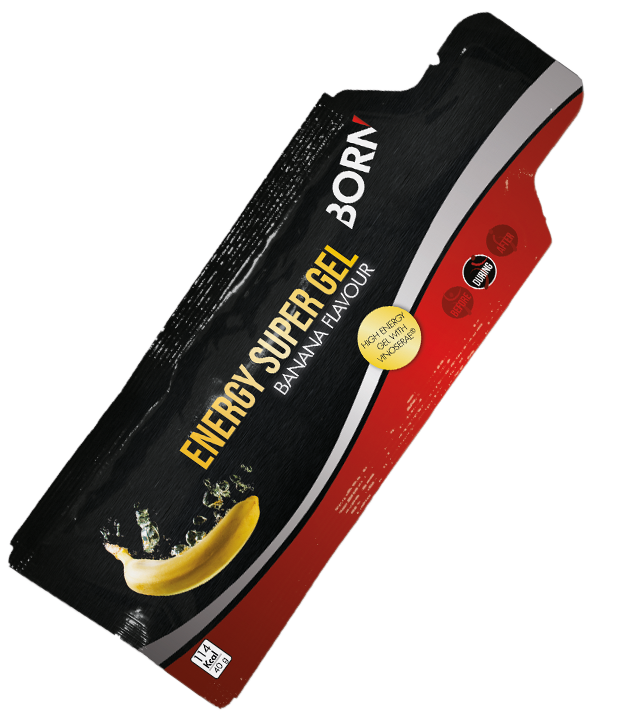 ENERGY SUPER GEL is the ultimate source of concentrated carbohydrates that ensures a fast and long lasting energy supply and help to postpone your food craving. The added, unique extract from red wine polyphenols contains many antioxidants. Made with real banana puree! 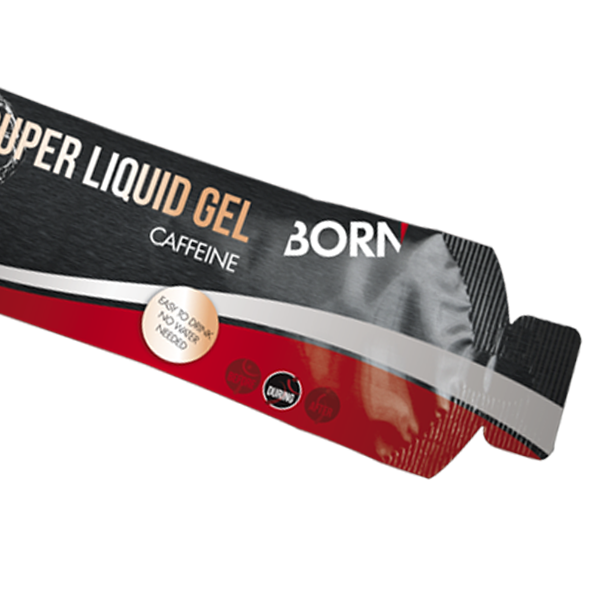 1-2 Super Gels per hour during active exercise. VinOserae® is a remarkable red wine polyphenolic product rich in t-resveratrol (≥ 0,12%). The active compounds of VinOserae® have been selected to work for maximum effectiveness against oxidative stress. glucosesyrup, banana purée concentrate (17%), resveratrol (from VinOserae® (0.25%)), preservative E202.